information | Asterisk, and other worldly endeavours. In case you missed it, the next version of Asterisk is now in beta, and at the same time, has undergone a minor version numbering scheme. 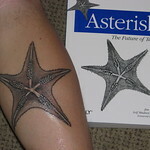 As it is unlikely that Asterisk will ever have a 2.0 release since for years now, that has generally meant Asterisk would undergo a major underlying change in both how it was programmed and the user experience (and since it would be a major disruption to the Asterisk community), it was deemed unnecessary to utilize the 1. preamble in front of the version numbers. You’ll have noticed the implicit declaration of the ‘dot zero’ on the end of the version. In the past when a security release or regression is resolved for a tag, an additional version number is added to the end. Lets take Asterisk 10.2.0 as an example of a version that was to receive a change to the tag after initial release, perhaps for a security update. Instead of requiring administrators to update to a tag of Asterisk that has changes in addition to the security changes, a new tag with only the changes required to satisfy the resolution of the security issue are added. Only spot testing should be required for upgrades between 10.2.0 -> 10.2.1 -> 10.2.2. Of course more thorough testing between something like 10.2.0 and 10.3.0 would be required by the administrator. Hopefully this helps alleviate any remaining confusion.